ANNAPOLIS, Md. — The Maryland Transportation Authority is exploring phasing out all cash toll booths across the state. 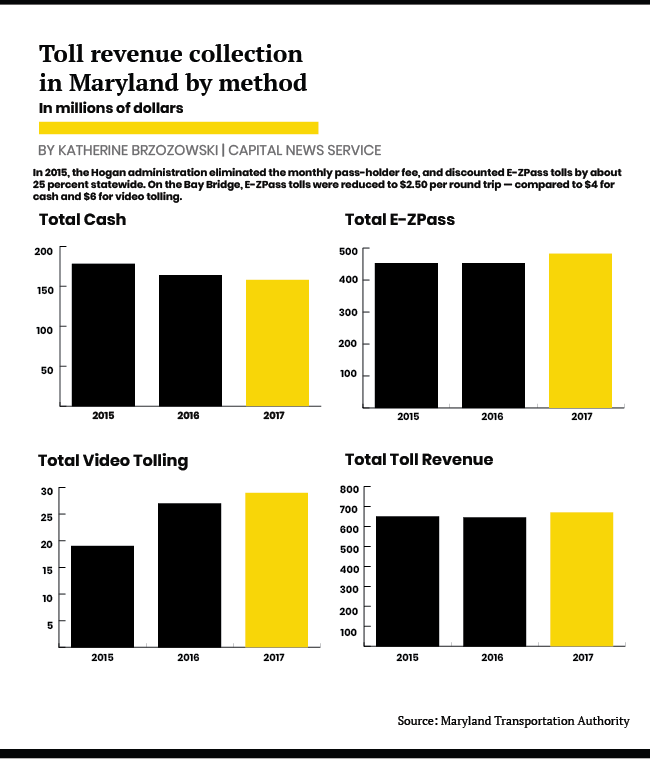 The discount was funded by a $270 million toll relief incentive over 5 years by the Hogan administration in July 2015 — the first time tolls have been cut across the state in 50 years — according to a May 7, 2015, news release. The second phase of the project will begin around Thanksgiving of 2018 and will direct north- and southbound traffic across one of the bridges, knocking down and rebuilding the other, and then channeling the two-way traffic across the new bridge while the second is completed, according to a Dec. 21, 2017, news release by the transportation authority. In anticipation of the I-895 project, the transportation department announced a $49.4 million project in March 2017 to reconfigure 4 miles of I-95 roadway, north of the Fort McHenry Tunnel, by the summer of 2018, according to a March 31, 2017, news release by Maryland’s Department of Transportation. Then, at existing toll plazas, booths will be converted for noncash operations to encourage drivers to keep moving without stopping, and overhead tolling equipment will be built and activated. 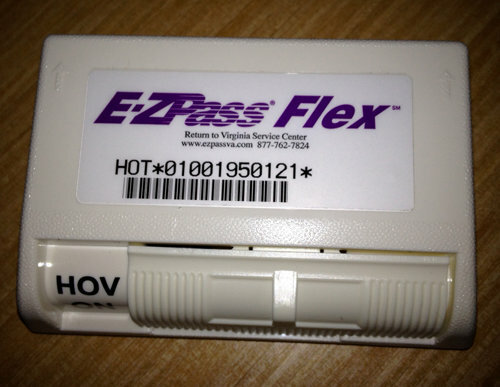 Though drivers can start to see noncash toll at some plazas within the next year, the Customer Service Center system cannot transition into the new system until all the toll lanes across the state have been transitioned, according to state documents.